Halloween special contest with prizes for everybody! A very spooky and special day is closing in! Prepare your pumpkins and masks (or remove the mask you are wearing all the year). Fire up candles! Halloween is a great day to become someone different, someone you possibly dreamed to be. 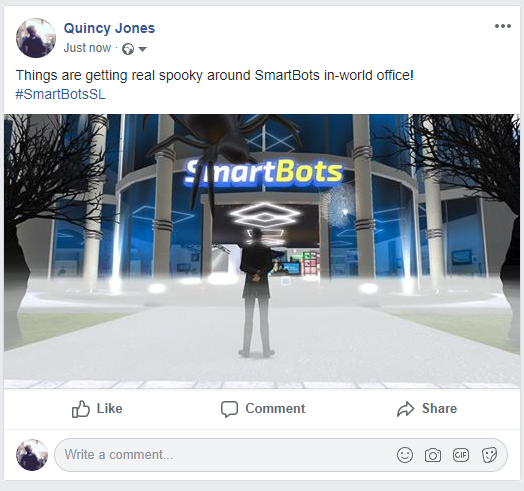 SmartBots office also becomes a different, spooky place with a Halloween vibe! The place to win a big prize! 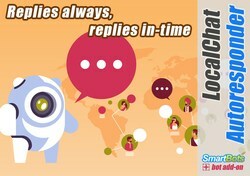 Make sure your post includes #SmartBotsSL hashtag. 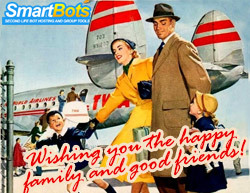 All participants get L$666 on SmartBots wallet. The creator of the most creative photo will get L$20,666 Grand Prize to wallet! The participants and the winner will be awarded on October 31st, 2018. NOTE: Before participating, make sure you’ve liked our Facebook page – otherwise you won’t qualify. Halloween is also a day for unsociable people. 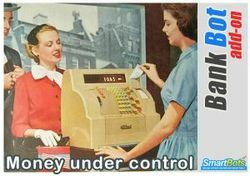 If you do not appear on photos (and not visible in mirrors), the coupon IAMSCARYMONSTER will give you 20% off every purchase in SmartBots Add-on Store till October 31st.